CivCity Rome is an all new and exclusive to the PC strategy based game that has taken the gaming world by storm since its first release date. The game allows players to help build the formidable legions of the Roman empire including its armies and cities as you attempt to become emperor along the way. 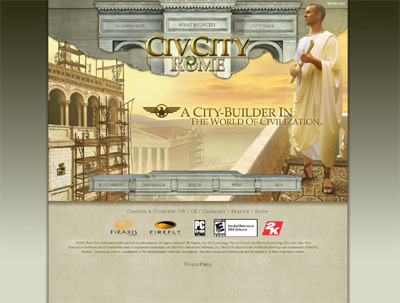 We have also compiled a Review System for this, of which CivCity Rome is Rated as Three Stars, the third highest possible score available from the Game Review Team.